Home › 5 (2017) 7 › Racism – A Killing Argument in Cultural Studies? In the culture of politics and history, racism is a thoroughly over-used term. It belongs both to political and to cultural-scientific lines of thought, and its meaning has been poorly defined. In the German-speaking world, moreover, the term is inevitably associated with the National Socialists’ crimes against humanity. However, the use of clearly defined terms should not only be a primary concern in academic circles but also in pre-scientific and non-academic debates on cultural matters. Clarity is especially needed where sensitive and controversial issues as well as their wider meaning are concerned—as is the case with the term racism. It refers to the way in which people substantiate their social affiliation, how they distinguish themselves from others and how they treat each other. This way of determining one’s social affiliation serves as a parameter of self-perception both for individuals and for all social groups. Kierkegaard described human subjectivity as a “relation […] relating itself to itself in the relation.” This relation to oneself can be of a personal or social nature, whereby both characteristics are naturally interleaved. It has come to be generally accepted to paraphrase self-relation as “identity”—also a controversial term. It remains a challenge for the humanities to establish clarity over such terms. This is particularly true with regards to historical thought and related academic activity, as each attempt to define the concept of identity requires a historical approach. What does this mean in terms of defining racism? By all means, the outlook appears to be bleak. Despite excellent historical analysis centering on racism, the results have done little to clarify the term. Unfortunately therefore, academic thought’s capacity to elucidate has been weakened, if not invalidated. Political debates and academic discourse do not allow themselves to be separated in terms of historical thought. The humanities depend on the need for social orientation, and political power struggles require objective and convincing arguments in order to legitimize respective demands. In this respect, key words cannot be confined to one particular specialist area. This becomes an issue when normative attitudes and ascriptions prevail. To accuse a scholar of racism, for example, would be to question their academic authority. Fundamentally, accusations of racism are killing arguments. Those accused might even be judged to be on a moral par with those operating the gas chambers, thus destroying their intellectual reputation as academics. This is also the case when academic analysis deems the very matter it is researching to be racist or even inhumane. This does not imply that inhumanity does not exist: In some contexts, it is unavoidable to talk about racism. At the same time, the mass use of the term racism in the humanities is alarming. If one analyzes accusations of racism in their logical structure, one becomes an implicit victim of their own criticism. Through the use of the word racism, one can distance oneself from others based on their social affiliation. In doing so, the qualities which one ascribes to oneself are hereby denied to others. “Race” divides humanity into differing levels of normative quality, of values. The most radical degree of affiliation lies between the humane and the non-humane. It is precisely this radicalism that is criticized as being inhumane. At the same time, however, the same asymmetric evaluation that marks the strategy of racism is being deployed here. In this context, criticizing racism can be regarded itself to be racist. Indeed, the criticized subject refers to a quality of human subjectivity which, in a racist way, is denied to those who are different. Whilst the others are no longer being categorized according to their race, they are subject to de-categorization. This is in reference to the normatively motivated interpretative patterns of the social world which are being violated by racism. By calling someone a racist nowadays, one ultimately denies that person their humanity, which in turn provides ammunition for critics. In the face of the resolute nature of such criticism, one can speak of a compulsion to repeat inhumanity—since humanity is at stake. Therefore, the counter term of racism becomes evident: It involves a thought process concerning humanity (and its negation). For this purpose, humanism can be regarded as a welcome term. The differentiation between “us” and “them” is anthropologically universal. Racism, however, does not imply this universality; instead it determines both our affiliation and who we are via a resolute degradation of who we are not. In criticism of racism itself, this is not perceived as being acceptable. This becomes apparent when faced with certain phenomena such as the racial ideology of National Socialists, for example. However, if racism indiscriminately denotes practically every asymmetrical ascription of affiliation and differentiation, the term becomes manipulated in the struggle for interpretation and political legitimacy. Therefore, I would like to see the term racism strengthened in the interdisciplinary discourse. This can be achieved by reinstating its analytical astuteness, which has been lost not only in the course of its prominence in anthropology, but in indiscriminate usage also. “Racism” is an interpretative pattern of ethnocentric distinctions between affiliation and differentiation. Fundamentally, these distinctions can be undertaken either subjectively (and, therefore, are subject to change) or objectively (as fixed entities). In a historical perspective, a trend of subjectification can be identified. Regarding this subjectification, reactions of a (secondary) objectivist nature have frequently occurred (for example, in the determination of nationality). In the discourse of the humanities it is imperative to explain (and also to criticize) the synchronic and diachronic margins evident between both possibilities by using a differentiated terminology in an ideal-typological approach. In this way, the term racism would be analytically practical and simultaneously decrease its ideological potency (its “killing potential”). The diversity and changeability of the factors which determine identity would come into view. At the same time, the biologism of racial terms would lose all plausibility. It is only by establishing both a precise and flexible terminological network that science can render the political discourse more reasonable through critical findings than it would be without them. Instead of providing political power struggles with ammunition, science could therefore humanize them. Mosse, George L. Die Geschichte des Rassismus in Europa. Frankfurt am Main: Fischer Taschenbuch, 1990 [Towards the Final Solution. A History of European Racism. New York: Howard, 1978]. Rüsen, Jörn. “How to Overcome Ethnocentrism: Approaches to a Culture of Recognition by History in the 21st Century.” Taiwan Journal of East Asian Studies 1 (2004): 59-74. Rüsen, Jörn: “Historians and Ethics.” History and Theory 43 (2004): 118-129 (German: “Der Ethnozentrismus und seine Überwindung. Ansätze zu einer Kultur der Anerkennung im 21. Jahrhundert.” In Kultursynergien oder Kulturkonflikte? Eine interdisziplinäre Fragestellung, edited by Michael Kastner, Eva M. Neumann-Held and Christine Reick, 103-117. Lengerich: Pabst Science Publishers 2007). Information platform humanrights.ch. http://www.humanrights.ch/de/menschenrechte-themen/rassismus/begriff/ (last accessed 17 February 2017). Sören Kierkegaard, Die Krankheit zum Tode (Reinbek: Rowohlt, 1962), 13. See Jörn Rüsen: Perspektiven der Humanität. Menschsein im Diskurs der Disziplinen (Bielefeld: Transcript, 2010), and Approaching Humankind. Towards an Intercultural Humanism (Göttingen: V&R unipress, 2013). Bernhard Giesen: Die Entdinglichung des Sozialen. Eine evolutionstheoretische Perspektive auf die Postmoderne (Frankfurt am Main: Suhrkamp, 1991). Bernhard Giesen: Nationale und kulturelle Identität. 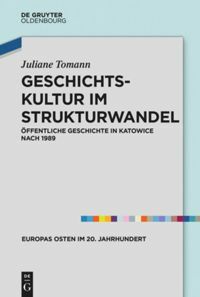 Studien zur Entwicklung des kollektiven Bewusstseins in der Neuzeit (Frankfurt am Main: Suhrkamp, 1991). Is it art? No. © Izzard, via Flickr (last accessed: 13 February 2017). Rüsen, Jörn: Racism – A Killing Argument in Cultural Studies? In: Public History Weekly 5 (2017) 7, DOI:dx.doi.org/10.1515/phw-2017-8437. Rassismus ist in der Politik- und Geschichtskultur ein viel strapazierter Begriff. Er liegt quer zur Grenze zwischen politischem und kulturwissenschaftlichem Denken, und seine Bedeutung ist alles andere als klar. Im deutschen Sprachbereich wird er überdies unabweisbar mit den Menschheitsverbrechen der Nationalsozialisten negativ assoziiert. Wissenschaftliches Denken sollte grundsätzlich für klare Begriffe sorgen; und auch in der vor- und außerwissenschaftlichen Debatte um kulturelle Orientierungen sollte Klarheit über das jeweils Gemeinte herrschen. Diese Klarheit gilt besonders dort, wo es um empfindliche und konfliktreiche Sachverhalte und deren Deutung geht. Das ist beim Begriff Rassismus der Fall. Er bezeichnet nämlich die Art und Weise, wie Menschen ihre soziale Zugehörigkeit und Abgrenzung von anderen bestimmen und mit anderen auch umgehen. Diese Zugehörigkeitsbestimmung gilt für jede einzelne Person, für ihre Subjektivität also, wie auch für jede soziale Einheit als Bestimmungsgröße des menschlichen Selbstverständnisses. Kierkegaard hat die menschliche Subjektivität als ein “Verhältnis” beschrieben, “das sich zu sich selbst verhält.” Dieses Selbstverhältnis hat eine personale und eine soziale Seite, die natürlich aufs Engste ineinander verschachtelt sind. Landläufig wird dieses Selbstverhältnis mit dem – selbst umstrittenen – Begriff Identität umschrieben. Wenn es um die Klarheit solcher Begriffe geht, dann sind die Kulturwissenschaften gefordert. Da jede Antwort auf die Identitätsfrage historische Bestimmungen einschließt, gilt dies für das historische Denken und seine fachliche Verfassung in besonderem Maße. Wie steht es hier mit der Klarheit des Begriffs Rassismus? Wohin man auch blickt: schlecht. Zwar gibt es vorzügliche historische Analysen zu Rassismus-Vorstellungen, aber deren Ergebnisse haben nur wenig zum Begriffsgebrauch beigetragen. Das ist insofern höchst bedauerlich, weil damit die Aufklärungsfunktion des wissenschaftlichen Denkens geschwächt, wenn nicht gar außer Kraft gesetzt wird. Politische Debatten und wissenschaftliche Diskurse lassen sich im Bereich des historischen Denkens nicht strikt voneinander trennen. Die Kulturwissenschaften leben vom Orientierungsbedarf in ihrem sozialen Kontext, und der politische Kampf um die Macht braucht sachlich überzeugende Argumente, um jeweilige Ansprüche zu legitimieren. Insofern wandern Schlüsselbegriffe stets über die Grenzen der Fachlichkeit (in beiden Richtungen). Das wird dann zum Problem, wenn es um normative Einstellungen und Zuschreibungen geht. Jemanden etwa akademisch des Rassismus zu bezichtigen, stellt dessen Seriosität als WissenschaftlerIn infrage. Rassismusvorwürfe sind Totschlagargumente. Diejenigen, gegen die sie sich richten, werden mit einem solchen Vorwurf in die Nähe der Gaskammern gerückt. Und damit werden sie in ihrer geistigen Existenz als WissenschaftlerIn getötet. Dies geschieht auch dann, wenn in wissenschaftlich-fachlichen Analysen die ins Auge gefassten Phänomene rassistisch genannt, also als unmenschlich eingeschätzt werden. Natürlich gibt es solche Unmenschlichkeit. In diesen Fällen ist es sachlich geboten, von Rassismus zu sprechen. Der massenhafte Gebrauch des Rassismus-Begriffes in den Kulturwissenschaften ist aber bedenklich. Analysiert man den Rassismus-Vorwurf in seiner logischen Struktur, wird er zu einem impliziten Opfer seiner eigenen Kritik. Mit Hilfe von Rassismus vollzieht jemand in der Deutung seiner Zugehörigkeit eine Abgrenzung zu anderen und spricht diesen genau die Qualitäten ab, die man für sich selbst in Anspruch nimmt. Rasse zerlegt das Menschsein in unterschiedliche Grade seiner normativen Bestimmtheit, seines Wertes. Die radikalste Bestimmtheit ist hier diejenige zwischen Mensch und Nicht-Mensch (Unmensch). Genau diese Radikalität kritisiert die Rassismuskritik als unmenschlich. Dabei wird aber genau dieselbe asymmetrische Wertung vollzogen, die der kritisierten Deutungsstrategie des Rassismus vorgeworfen wird. Die Rassismuskritik ist in dieser Hinsicht selber rassistisch. Das kritisierende Subjekt bezieht sich ja auf eine Qualität der menschlichen Subjektivität, die rassistisch dem Anderssein der anderen abgesprochen wird. Zwar geht es dann nicht mehr um Rasse bei der Qualifikation der anderen, aber um eine Abqualifikation in Bezug auf das normativ aufgeladene Deutungsmuster der sozialen Welt, gegen das der Rassismus verstößt. Nennt man nun heute jemanden eine/n RassistIn, spricht man ihr/ihm de facto ebenso die Menschlichkeit ab, die die KritikerInnen für ihre Kritik als Norm in Anspruch nehmen. Man könnte angesichts der Entschiedenheit der Kritik – es geht schließlich um die Menschlichkeit des Menschen – von einem Wiederholungszwang der Unmenschlichkeit sprechen. Der Gegenbegriff zum Rassismus liegt damit auf der Hand. Es handelt sich um ein Denkmuster der Menschlichkeit (und ihrer Negation). Dafür bietet sich der Terminus Humanismus an. Eine Abgrenzung zwischen Eigenem und Anderem ist anthropologisch universell. Rassismus meint aber nicht diese Universalität, sondern bestimmt Eigensein und Zugehörigkeit durch eine entschiedene Abwertung des Andersseins. Dies wird in der Rassismuskritik selber als nicht akzeptabel bewertet. Im Blick auf bestimmte Phänomene, z.B. auf die nationalsozialistische Rassenideologie, leuchtet dies ein. Aber wenn Rassismus unterschiedslos fast jede asymmetrische Zuschreibung von Zugehörigkeit und Abgrenzung bezeichnet, dann wird der Begriff zur Waffe im Kampf um Deutungshoheit und politische Legitimität. Ich möchte daher dafür plädieren, dem Rassismus-Begriff im innerfachlichen Diskurs seine analytische Schärfe zurückzugeben, die er mit seiner anthropologischen Vertiefung und unterschiedslosen Anwendung verloren hat. Rassismus ist ein Deutungsmuster der ethnozentrischen Unterscheidungen von Zugehörigkeit und Abgrenzung. Diese Unterscheidungen können grundsätzlich entweder subjektiv (und somit veränderbar) oder objektiv (als fixe Vorgaben) vorgenommen werden. In historischer Perspektive ist ein Trend der Subjektivierung festzustellen. Innerhalb dieser Subjektivierung hat es dann immer Reaktionen einer (sekundären) Objektivierung gegeben (wie z. B. in der Bestimmung von Nationalität). Im Diskurs der Kulturwissenschaften kommt es darauf an, die synchronen und diachronen Spielräume zwischen diesen beiden Möglichkeiten durch eine differenzierte Begrifflichkeit idealtypischer Art verständlich (und auch kritisierbar) zu machen. Der Rassismus-Begriff würde dadurch analytisch brauchbar und zugleich seine ideologische Sprengkraft (sein ‘Tötungspotenzial’) verlieren. Die Vielfalt und Veränderbarkeit der Faktoren, die Identität bestimmen, kämen in den Blick. Zugleich verlöre der Biologismus des Rassebegriffs jede Plausibilität. Nur in einem solchen zugleich präzisen und flexiblen Begriffsnetz kann die Wissenschaft durch kritische Erkenntnis den politischen Diskurs vernünftiger machen, als er ohne sie wäre. Statt politische Machtkämpfe zu munitionieren, könnte sie sie humanisieren. George L. Mosse: Die Geschichte des Rassismus in Europa. Frankfurt am Main 1990; Ders. : Towards the Final Solution. A History of European Racism. New York 1978. Jörn Rüsen: How to Overcome Ethnocentrism. Approaches to a Culture of Recognition by History in the 21st Century. In: Taiwan Journal of East Asian Studies 1/1 (2004), S. 59-74. Jörn Rüsen: Der Ethnozentrismus und seine Überwindung. Ansätze zu einer Kultur der Anerkennung im 21. Jahrhundert. In: Michael Kastner/Eva M. Neumann-Held/Christine Reick (Hrsg. ): Kultursynergien oder Kulturkonflikte? Eine interdisziplinäre Fragestellung. Lengerich 2007, S. 103-117. Definition “Rassismus” auf der Informationsplattform Humanrights: http://www.humanrights.ch/de/menschenrechte-themen/rassismus/begriff/ (letzter Zugriff: 13.02.2017). Sören Kierkegaard: Die Krankheit zum Tode. Reinbek 1962, S. 13. Dazu Jörn Rüsen: Perspektiven der Humanität. Menschsein im Diskurs der Disziplinen. Bielefeld 2010. Ders. : Approaching Humankind. Towards an Intercultural Humanism. Göttingen/Taipei 2013. Bernhard Giesen: Die Entdinglichung des Sozialen. Eine evolutionstheoretische Perspektive auf die Postmoderne. Frankfurt am Main 1991. Bernhard Giesen: Nationale und kulturelle Identität. Studien zur Entwicklung des kollektiven Bewusstseins in der Neuzeit. Frankfurt am Main 1991. Jörn, Rüsen: Rassismus – ein kulturwissenschaftliches Totschlagargument? In: Public History Weekly 5 (2017) 7, DOI: dx.doi.org/10.1515/phw-2017-8437. Again, an intriguing argument by Jörn Rüsen, we as PHW editors are very thankful for his contributions. 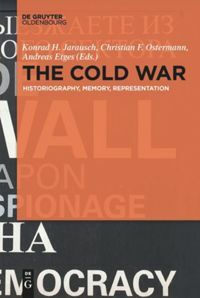 They strengthen PHW as an important work base for an international Public History discourse. That doesn’t mean necessarily that e.g. my personal opinion is totally congruent with the author’s one. For now, I would like to change my role from the PHW managing director to that one of an occasional reader. I’m going to ask just my private questions. And, yes, there are some. I think I understand Rüsen’s argument generally, at least its target course. So, yes, we as free thinking academics (whatever it means) are obliged to protect the academic discussion against external, “political”, non-academic interferences. An argument is an argument, a logical structure is a logical structure–whatever the political orientation of its author might be. Having stated that I’m realizing already at this point that such a presupposition ignores the fact that there is sometimes (mostly?, everytime?) more than one language game, more than one cultural frame, more than one different horizon of values at the stake. Particularly the humanities cannot avoid to include non-academic discourse aspects into a pluralistic academic discussions if such a precious experience as understanding might be regarded as possible at all. A racism accusation within the frame of academic discussion is therefore firstly meant to be understood and not just to be regarded as dehumanizing attack. The racism accusation–personally for the most empathisably disgusting and offending–contains much more valid problems being worth checking carefully than it seems at the first or second glance. This it true, to give an example, specifically for the claim of the universalism of the human rights and a certain set of evident common values. As for you, Mr. Rüsen, and me the universal justification of those rights and values appears simply as evident. But this evidence is always inevitably a cultural evidence, a historical fruit of collective experiences, traditions and institutional chances. We may like this situation or not–our evidence is ours (by the way, it is not so easy to deduce from the Kant’s Categorical Imperative the whole content of the French declaration of human rights from 1789). If so, than our strong faithfully insistence on the universal validity of our understanding of human rights appears to members of other cultural communities as dogmatic, apodictic. Asking for reasons they are confronted with our narratives which inner normative plausibilities have simply to be accepted. No surprise, I mean, that they are asking eagerly for the real reasons of acceptance. Because we are superior westerners? That is one origin of a possible (sure a bit unfair) racism accusation. This is a conclusion finally that makes me really to worry about. If a racism accusation is only justified to mark NS statements and practices, we as an intercultural community of interlocutors loose in deed the opportunity to discuss and to tackle statements of cultural superiority based on unspoken cultural/historical assumptions. I think it might not be necessary to give many examples: Just thinking of the discrimination of minorities all over the world. That is not National Socialism but it is in many times more or less ugly racism. Superiority sentiments based on nothing but obvious origin, language, and physical characteristics. Such discriminations doesn’t stay outside the academe. So, I mean it is worth to bear seemingly wrong racism accusations in academic discussions for a while with a kind of grandezza if our interlocutors are ready to discuss the both but different cultural preoccupations. At the end, we might recognize that there are more arbitrary cultural implicitnesses in our (your and mine) academic thinking than expected. That could be the start into fruitful intercultural exchanges about rights, values, traditions. That is, in my mind, what Gadamer meant with understanding as the fusion of horizons. Gadamer’s “Fusion of Horizons“ is an ideal worth striving for in hermeneutics – however not automatically or inevitably an ideal of current communication between individuals and groups. While Demantowsky complains that anti-racist arguments are killed by universal validity demands of human rights, he mixes up the universal legal validity of these norms with the culturally shaped forms of their enforcement, their lacking enforcement, often enough even their hindrance. Universal validity comes up to human rights already through their universal codification. The struggle of intellectuals in many regions of the world against racism and oppression in many cases goes along with the struggle for the enforcement of human rights. Therefore the artificial contradiction between the diversity of cultures and the human rights of “Westerners” who allegedly pursue cultural-imperialist goals results in an exaggerated picture. Such accusations have been and are often raised by leading politicians of authoritarian regimes, such as in China, which oppose the Universal Declaration of Human Rights with their own, supposedly culturally based canon of rights. Freedom of expression and freedom of the press is not part of them, neither the inviolability of the person. Ask Chinese regime adversaries how imperialist human rights are. The answer would be somewhat different from Demantowsky’s. But is Rüsen’s Philippika at all concerned with the relationship between “the West” and other cultures? Obviously not. On the contrary, he complains of an incalculable tendency within the Western cultural and historical sciences to brand as racism what is the indispensable acknowledgment of otherness not only in a legitimate sense but also in the sense of the fusion of horizons. Also in the historical didactics this in my mind unacceptable bloating of the racism discourse already found its precipitation. The reasons for the new speech about the inherent racism “of the West” are manifold. Undoubtedly, the upsurge of colonialism has contributed to the work of younger scientists with a passion similar to that of a quarter-century of Holocaust research. These studies are not uncommon in discovering allegedly or actually overlooked lines of continuity between colonial policy, racism, genocide, and National Socialism, and not infrequently the turn to this new research object is accompanied by a “postcolonial” world view, with racist accusations against “the West” Par excellence. Who argues in this way goes into a performative self-contradiction. For the cultural particularity which is put into place with anti-racism against supposedly imperialist practices of the West, justifies universal claims of universal validity that were previously denied to human rights. Diversity is a reality, its recognition is a cultural achievement, which demands understanding from all parties involved. In this respect, I agree with my learned friend Marko Demantowsky. But what if, in the name of a universal difference, human understanding is simply contaminated as racist and ultimately impossible? Then Gadamer does not help us, rather methodology does, and this is primarily the strive for precise terms in Academia. Es mag sein, dass ich in dieser Frage etwas naiv bin. Ich habe Probleme mit wenigstens zwei Passagen des Ursprungsartikels von Jörn Rüsen. Trifft das wirklich zu? Wird, wenn ein/e WissenschaftlerIn mit rassistischen Kategorien arbeitet, also etwa biologistische Unterscheidungen vornimmt zwischen Angehörigen der Menschheit und Nicht-Menschheit (wie es etwa die Rasse-Biologen vor und im Nationalsozialismus getan haben), und man dieses benennt, diesen WissenschaftlerInnen selbst die Qualität, Mensch zu sein, abgesprochen? Ist es also so, dass, wenn man “heute jemanden eine/n RassistIn” nennt, “ihr/ihm de facto ebenso die Menschlichkeit” abspricht, “die die KritikerInnen für ihre Kritik als Norm in Anspruch nehmen”? Ich würde daran festhalten wollen, dass man Rassismen als Rassismen benennen kann (und muss), ohne die so bezeichneten Menschen selbst außerhalb der Menschheit zu positionieren. Das wäre in der Tat selbst eine Form exkludierenden -ismus (wohl selbst kein Rassismus, sondern ein Ideologismus), der nicht hinzunehmen wäre. Diese Intention stelle ich bei denjenigen, die den Rassismusbegriff nicht nur zur Bezeichnung vergangener Strukturen und Geisteshaltungen, sondern auch gegenwärtig politisch und wissenschaftlich tätiger Menschen verwenden, aber nicht fest. Ich würde zumindest nicht ausschließen, dass hinter der Benennung von politischen Positionen als “rassistisch” nicht immer ein Exklusionswunsch steht, sondern vielleicht auch immer (noch) eine Hoffnung, diese Position zu delegitimieren und vielleicht doch zu ändern. Das mag idealistisch und in vielen Fällen unrealistisch sein, die Ineinssetzung von Benennung von Rassismen mit letztlich gleichartiger Exklusion bedeutete aber, solch unmenschliche Argumentationsweisen gar nicht mehr benennen zu können. Davon ist und bleibt unberührt, dass eine Inflation der Kategorie “Rassismus” für jegliche Form der Diskriminierung durchaus nicht erwünscht ist. 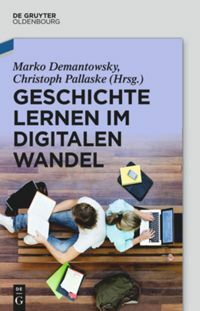 Es wurden in dieser Debatte bereits viele wichtige Punkte zum Beitrag Jörn Rüsens gesagt, etwa zu den hermeneutischen Möglichkeiten der Verständigung (Demantowsky) und den methodischen Herausforderungen (Sandkühler). Ich möchte aus diskursanalytischer Perspektive Rüsens Vorschlag zur Deflation des Rassismus-Begriffs diskutieren. Selbstverständlich ist es erhellend, die spezifische Logik des nationalsozialistischen Rassismus herauszuarbeiten. Gerade im Hinblick auf das Verständnis des NS-Diskurses hat allerdings eine erweiterte Definition des Rassismus-Begriffs einen Mehrwert. Es geht einerseits darum, grundlegende Muster jener Verarbeitung des Eigenen und Fremden herauszuarbeiten, die auf den Körper als letzte Erklärungsinstanz rekurrieren und die seit dem 18. Jahrhundert in Europa und später global eine unheimliche Karriere an den Tag legten. Dafür ist die eng geführte Pionier-Arbeit George Mosses aus den 1970er-Jahren kaum der geeignete Bezugspunkt. Mit Studien wie derjenigen Christian Geulens lässt sich hingegen die Vielfalt von Rassismen analysieren und damit ihr Wandel verfolgen, der gerade für eine Genealogie des nationalsozialistischen Rassismus erhellend ist. Voraussetzung dafür ist allerdings – und da gehe ich mit Jörn Rüsen einig – eine präzise Begriffsarbeit, wodurch erst unterschiedliche Ausprägungen des Rassismus-Diskurses sichtbar werden können. Diskursanalytische Forschungen machen grundlegende Muster und spezifische Ausprägungen des rassistischen Denkens und ihrer praktischen Umsetzung sichtbar – jenseits von “Inflation” (Andreas Körber) und Deflation. Oder anders gesagt: Im Geschäft des Rassismus zirkulierten und zirkulieren unterschiedliche Währungen. Dies ist nicht zuletzt für ein Verständnis der Gegenwart relevant. Wenn der AfD-Vordenker Marc Jongen sich bei seinen Ausführungen über die deutsche Kultur von einem “ethnischen oder gar rassisch definierten Volksbegriff” distanziert, so gilt es einerseits die Differenz zum nationalsozialistischen Denken zu benennen. Andererseits muss herausgearbeitet werden, wie die Fiktion der einen deutschen Kultur eben aller Negation zum Trotz den Körper als archimedischen Punkt benutzt. Ob dies für akademische Rassismus-Vorwürfe ebenfalls gilt, wage ich prima vista mit Andreas Körber zu bezweifeln. Christian Geulen: Geschichte des Rassismus, 2. durchges. Auflage, München 2014. Andreas Tobler: Interview mit Marc Jongen. “Die Festung Europas muss errichtet werden”, in: Tages-Anzeiger, 10.3.2017, http://www.tagesanzeiger.ch/kultur/diverses/Die-Festung-Europa-muss-errichtet-werden/story/17036024 [letzter Zugriff: 12.3.2017]. The disclosure and branding of racism in social reality as well as in history is not made obsolete by the fact that the inflationary conceptual use criticized by Rüsen can be observed and criticized on its own. There is, in fact, a contradiction in Rüsen’s argumentation, since the application of a precisely defined concept can not in itself be a violation of good scientific practice. However, I do not read the original intervention as an argument against the application of the concept of racist exclusion and depreciation, but as a criticism of positions which use supposedly anti-racist arguments to discredit “the West”, “human rights”. On this point Jorn Rüsen is right in my view. It seems imperative, then, to define precisely terms like racism and human rights in such a way that they can be applied to empirical phenomena in historical studies and history education. Not each and every designation of otherness may be coined racism; the practical “enforcement” of human rights, so often deeply disappointing and disgusting, must not be equated with the universal rights of every human being. In dieser Diskussion erscheint mir zunächst wichtig, Begrifflichkeiten aus wissenschaftlicher Sicht zu verwenden. Der Ansatz “Politische Debatten und wissenschaftliche Diskurse lassen sich im Bereich des historischen Denkens nicht strikt voneinander trennen” ist meines Erachtens nichts anderes, als das sprichwörtliche Handtuch zu werfen. Und es wird schnell geworfen, schon wenn eine Untrennbarkeit des Begriffes von den Gaskammern postuliert, zumindest aber akzeptiert wird. Rassismus gab es vor dem nationalsozialistischen Deutschland, und danach. Es gab ihn bei den Buren in Südafrika, genauso wie in den französischen Kolonien, in denen für gewöhnlich die Einwohner kleiner Ortschaften am Ortseingang als “Seelen” angegeben und es häufig genug angezweifelt wurde, ob die Schwarzen dazugehören. Es gab Busabteile im Lande der Befreier vom Nationalsozialismus. Damit sollte spätestens klar geworden sein, dass es im Gegenteil höchste Zeit für eine saubere Trennung der Begrifflichkeiten ist. Auch wenn ein wissenschaftlich-historischer Diskurs nicht strikt trennbar von einer politischen Debatte zu führen wäre, ist bei der Verwendung der Terminologie umso mehr auf eine klare Trennung politischer Schlagworte und akademischer Terminologie zu achten. Das gilt übrigens nicht nur für die Politologie oder die Geschichtswissenschaften. Als Beispiel genüge der Hinweis auf das Liedgut der 1848-er, das teilweise als “Volkslied” verwendet im Dritten Reich missbraucht, heute oftmals einen Anstrich von “Nazi-” hat. Die Frage nach dem “killing argument in cultural studies” beginnt schon beim Term ohne -ismus. Handelt es sich um einen “verwendbaren” Terminus; oder ist durch Missbrauch dieser Terminus selbst schon disqualifizierend? Denn dann funktionierte er à priori anders als z.B. “sozial”. Der Kandidat für die Bundestagswahl 2017 trägt bekanntermaßen dieses Attribut vor sich her. Doch zurück zur potentiellen Funktion des Begriffes “Rassismus” als argument to end all arguments. Sehe ich das vielleicht zu einfach, wenn ich “Rassismus” eher als Beschreibung von außen – und damit eher objektiv – anerkenne; während tatsächlich nur der “Rassist” sich auf einen Menschen bezieht, dem ich mit dieser Wortverwendung zuspreche, einen unhaltbaren Unterschied oder Wertvorteil zwischen verschiedenen Menschen oder Menschengruppen ausmachen zu wollen. In diesem Sinne erscheint das Wort “Rassist” als “killing argument”, weil sich der Rassist selbst disqualifiziert. Und noch einmal zurück zur eigentlichen Frage, der Verwendung des Wortes “Rassismus”. Unter Berücksichtigung des oben erwähnten bestimmten wir selbst, ob wir dem Wort “seine analytische Schärfe zurück[..]geben”. Dass es im Moment nicht einfach wäre, immer wieder den Fuss in die Türe zu stellen und auf einer korrekten Anwendung zu bestehen, ist unbestreitbar. Es wäre aber lohnenswert, für alle Beteiligten, wenn dieser Ausdruck entschärft werden könnte. Es wäre gut, ihn wieder nicht vorbelastet in der wissenschaftlichen Diskussion anführen zu können. Und es wäre ebenso gut, argumentativen Widersachern nicht länger – wenigstens einen Teil – ihrer menschlichen Qualitäten abzusprechen. As to this, I am in doubt. The argument in itself is true. The Western idea of Human Rights in itself, as innate rights not depending on privileges, is not racist and exclusive in itself, it includes the idea of a universal humanity. On the other hand, it has been amply shown that to formulate such a principle, does not preclude the application (with our without explicit formulation) of exclusive concepts of who belongs to the group holding these rights in the first place. The concept of “Human rights” refers to an idea of universal (that is indivisible) humanity, it does not constitute it and therefore there is no guarantee whatsoever, that all people referring to the former idea hold the same form of the latter. This seems to part of the basis for the increasing sensitivity as to different strategies of exclusion and for the differentiation of concepts underlying them, pooled under the concept of “racism”. But then, I am still no convinced that those who accuse others of applying such excluding strategies or concepts, referring to “racism”, do exclude the in turn. “Nennt man nun heute jemanden eine/n RassistIn, spricht man ihr/ihm de facto ebenso die Menschlichkeit ab, […]”. This COULD mean, that by calling someone a racist, one denies that person the quality of being kind, since the term “menschlich” (as the English “human”) can refer to the quality of one’s actions: to act “human” to others. The English version, though, (more) clearly states that by “calling someone a racist nowadays, one ultimately denies that person their humanity”, which indicates that it “denying” a person “their humanity” refers to excluding that person from manhood. Ultimately, Rüsen’s argument would amount to the accusation that whoever accuses someone else of racism, was bigot. Of course it is very well possible that among those voicing such accusations, there are people who themselves apply such excluding concepts and that using the concept even may be part of such an excluding strategy – just like autocrats and fascists do not hesitate to use these latter concepts on others frequently (and recently). But does Rüsen really want to imply that all people using the term racism in accusations (or as a criterion when judging others’ actions) necessarily are racists themselves? Firstly, if the difference between self and other, between belonging to and being different from is established on the basis of natural demarcations, i.e. if it is seen as naturally given. And secondly, if normative values are then assigned to these natural-biological differences (as is the case with any self-referential subjectivity) but in such a way as to devalue those who fulfil those biological conditions of otherness. The racist naturalisation of the subjectivity that determines humanity negates cultural, that is, non-biological qualities of that subjectivity. As such, the humanity in the other, which he or she shares with all other people, is semantically destroyed. Racism thus implies inhumanity. I mentioned the race concept as employed by the National Socialists only as an example. Dehumanisation based on natural-biological characteristics exists everywhere and has done so at all times. As a German citizen, I, like many of my fellow citizens (especially those belonging to my generation), have a certain sensitivity when it comes to the use of ‘race’ as a means for social differentiation. The association with the Holocaust is too close to home to allow a simple and perhaps thoughtless adoption of the anglo-Saxon ‘race’ concept. Therefore, I would like to draw critical attention to the normative implications associated with the concept of racism that threaten to poison scientific debates. Most commentaries have agreed that there is a need to define ‘racism’ more clearly in its historical meaning than has been the case thus far. Yet they have not made suggestions for a better use of the term. Only Philippe Weber suggests that we call those qualities of difference racist that “refer to the body as the final explanatory authority”. I could possibly agree with this if “body” here refers to nature that pre-determines human life-conduct, independent of cultural forces and thereby subordinates human subjectivity to natural forces as empowering people to act. This negation refers to that part of humans which elevates them above nature and makes them responsible for their conduct. This is commonly referred to as ‘culture’. For me, the naturalisation of humans leads to means their dehumanisation. That was exactly the deciding factor of racism that legitimated the genocide against the Jewish People (“the Jews are not humans”). To impute a similar dehumanising intention to all those who use the racism-vocabulary would be exaggerated and unfair. I take Andreas Körber’s allegations seriously in this regard. Having said that, I think it is useful to contextualise historically the concept of racism so as to clarify its dehumanising potential. Specifically, the exact meaning of the term must be clarified. This raises the fundamental question about the normative premises that undergird the different affiliations in the human sciences. Are there certain normatively binding characteristics that determine the qualification of being human in terms of cultural and social identity? Marko Demantowsky would say no by pointing out that such characteristics always arise and function in cultural contexts and are therefore historically quite different. For him these differences overshadow the possibility of the normativity in question. In this position he is in line with current trends in the humanities that grapple with the idea of holding western thinking responsible as the source of ideological superiority in a post-colonial sense. In my opinion, this leads to a relativism which cannot be upheld epistemologically and methodologically. Thomas Sandkühler rightly pointed out the performative self-contradiction of this position. I consider it useful to identify cultural characteristics that qualify the condition of being human that has an anthropological basis and at the same time can be considered historically and philosophically plausible in terms of intercultural validity. The inflationary use of the concept of racism produces an intellectual fog in which such qualities disappear and become ineffective, together with the human substance of cultural-scientific thought. See Antweiler, Christoph, 2012. Inclusive Humanism. Anthropological Basics for a Realistic Cosmopolitanism. (Reflections on (In)Humanity, vol. 4), Göttingen: V&R Unipress, Taipei: National Taiwan University Press. See also Rüsen, Jörn. 2013. Approaching Humankind. Towards an Intercultural Humanism. Göttingen: V&R Unipress, Taipei: National Taiwan University Press 2013. 1. wenn die Differenz zwischen Eigensein und Anderssein, zwischen Zugehörigkeit und Abgrenzung auf Natur zurückgeführt, als naturgegeben angesehen wird. 2. wenn diese naturhafte Unterschiedlichkeit normativ aufgeladen wird (wie das in jedem Selbstbezug von Subjektivität der Fall ist), und zwar so, dass jemand, der die naturalen (biologischen) Bedingungen seines Andersseins erfüllt, abgewertet wird. Da mit der rassistischen Naturalisierung der menschlichen Subjektivität die das Menschsein des Menschen bestimmende kulturelle, also nicht-naturale Qualität von Subjektivität negiert wird, wird die Menschlichkeit des Anderen semantisch vernichtet, die er/sie mit den Anderen teilt. Rassismus impliziert also Inhumanität. Den nationalsozialistischen Rassebegriff habe ich nur als Beispiel angeführt. Naturalisierende Entmenschlichung gibt es überall und zu allen Zeiten. Als Deutscher teile ich mit vielen meiner Landsleute (insbesondere meiner Generation) eine besondere Sensibilität, wenn von ‘Rasse’ als Bezeichnung sozialer Differenzierung die Rede ist. Die Assoziation mit dem Holocaust liegt zu nahe, als dass dieser bedenkenlose angelsächsische Sprachgebrauch von ‘race’ einfach übernommen werden könnte. Ich möchte also kritisch auf die normativen Implikationen aufmerksam machen, die den Rassismus-Begriff bestimmen und wissenschaftliche Debatten vergiften können. Die meisten Kommentare haben meinen Vorschlag, ‘Rassismus’ als historischen Begriff klarer zu definieren, als es bislang der Fall war, aufgegriffen und stimmen ihm zu, ohne allerdings selber Vorschläge für eine bessere Verwendung zu machen. Lediglich Philippe Weber schlägt vor, diejenigen Differenzqualifikationen rassistisch zu nennen, “die auf den Körper als letzte Erklärungsinstanz rekurrieren.” Dem könnte ich zustimmen, wenn ‘Körper’ Natur als vorgegebene Größe menschlicher Lebensführung meint, die sich dem Zugriff kultureller Bestimmungen entzieht und damit die Subjektivität des Menschen als Handlungsmacht über naturale Vorgaben negiert. Diese Negation betrifft diejenige Seite des Menschen, die ihn über die Natur erhebt und verantwortlich für seine Lebensgestaltung macht. Landläufig wird das ‘Kultur’ genannt. Naturalisierung des Menschen bedeutet für mich Entmenschlichung. Genau das war die entscheidende Bestimmung des Rassismus, die den Nationalsozialismus zum Genozid an den Juden legitimierte (“die Juden sind keine Menschen”). Es wäre übertrieben und unglaubwürdig, all denen, die die Rassismus-Vokabel benutzen, eine vergleichbare Entmenschlichungsabsicht zu unterstellen. In dieser Hinsicht nehme ich die Vorwürfe Andreas Körbers ernst. Nur halte ich es für sachgeboten, den Rassismus-Begriff in die historischen Kontexte zu stellen, in denen er sein Dehumanisierungspotential entfalten konnte. Es muss im Einzelnen deutlich gemacht werden, was mit diesem Begriff eigentlich gemeint ist. Das wirft die grundsätzliche Frage nach den normativen Prämissen auf, unter denen der Sachverhalt unterschiedlicher Zugehörigkeiten humanwissenschaftlich angesprochen wird. Gibt es Qualitäten des Menschseins, die als normative Größen der Bestimmung sozialer und kultureller Identität allgemeinverbindlich unterstellt werden können? Marko Demantowsky verneint das mit dem Hinweis darauf, dass solche Größen stets in kulturellen Kontexten entstehen und wirken, die historisch ganz unterschiedlich sind. Er lässt diese Unterschiedlichkeit auf die infrage stehende Normativität durchschlagen. Damit entspricht er einem Trend in den Kulturwissenschaften, ihnen ihren westlichen Ursprung als Quelle ideologischer Selbstüberhebung post-kolonial um die Ohren zu schlagen. Meines Erachtens führt dies zu einem Relativismus, der sich erkenntnistheoretisch und methodologisch nicht halten lässt. Thomas Sandkühler hat mit Recht auf den performativen Selbstwiderspruch dieser Position hingewiesen. Ich halte es für sachgeboten, kulturelle Qualitäten des Menschseins auszumachen, die anthropologisch fundiert sind und geschichtsphilosophisch plausibel gemacht, also interkulturell als valide angesehen werden können. Die inflationäre Verwendung des Rassismus-Begriffs produziert einen geistigen Nebel, in dem solche Qualitäten verschwinden und damit auch die humane Substanz des kulturwissenschaftlichen Denkens unsichtbar und wirkungslos wird. Siehe dazu Antweiler, Christoph: Mensch und Weltkultur. Für einen realistischen Kosmopolitismus im Zeitalter der Globalisierung. (Der Mensch im Netz der Kulturen – Humanismus in der Epoche der Globalisierung, Bd. 10) Bielefeld: Transcript 2011 (englische Fassung: Inclusive Humanism. Anthropological Basics for a Realistic Cosmopolitanism. (Reflections on (In)Humanity, vol. 4). Göttingen: V & R unipress, Taipei: National Taiwan University Press 2012). Ferner Rüsen, Jörn (Ed. ): Perspektiven der Humanität. Menschsein im Diskurs der Disziplinen. Bielefeld: Transcript 2010 (englische Fassung: Approaching Humankind. Towards an Intercultural Humanism. Göttingen: V&R unipress, Taipei: National Taiwan University Press 2013).